I like this beer, smooth and crisp. Not sure if it is a craft beer, but I had a Mozambik Draught at Mozambik the other day. Had a mango'ish aftertaste. Was pretty good. Good idea for a thread. Can we add where we bought it, had it, so other can get some as well? I'll post some I had when I get pics. Cape Town’s Devil’s Peak Brewing Company claimed the leading position in the beer category for its King’s Blockhouse, while Elgin-based Everson’s Cider won in the newly introduced cider category for its Pear Cider. The South African Craft Brewer Championship, which acknowledges the skill and craftsmanship of the country’s craft beer industry, has grown in popularity since the inaugural event in 2013, with a marked increase in entries. “There has been a dramatic rise in the number of quality craft brewers in South Africa owing to the market demand for variations in beer experiences and a new appreciation for beer. 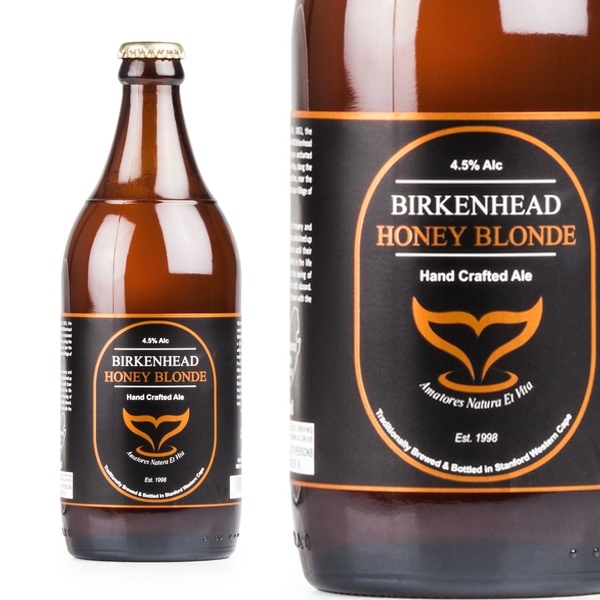 We are also seeing signs of a maturing craft industry as brewers recognise the need to create a first class product and witness other brewers’ prowess. The cider segment in particular is growing which saw fit for us to include this as a new category in this year’s competition,” said Sean Watts, Convenor of Judges. According to judging panel member and MC, Lucy Corne, gone are the days when craft breweries stuck to lagers and blonde ales. “As the craft brewing industry explodes in South Africa, drinkers are becoming more adventurous and the brewers are coming up with bigger and bolder beers alongside the classic styles. I was pleased to see the sheer variation among the beer styles entered into this year’s competition,” says Corne. “SAB has supported the craft industry by sponsoring festivals, assisting brewers with information and access to raw materials such as malt and hops. By extension, the World of Beer is a natural fit as main prize sponsor and awards host,” said Paul Verdu, SAB’s General Manager: Global & Speciality Brands. Want to be a winner, too? Order a case of our award-winning beer, here . My favourite beer atm is the Jack Black Skeleton Coast IPA. Ideal with a hot Indian curry as well as Thai food. A close second is the Wild Clover Weiss, very nice with pizza and steaks/roasts. What did you think of the Garagista Pale Ale, Steve sent me some in the bottle, did not taste great, however, two weeks ago I went along to the Festival of Beer and the Pale Ale on tap tasted much better, in fact great. I tried the Garagista Pale Ale twice - once on its own, and I found it had a sour-ish after taste. And then I tried it with Thai food, and still the sour after taste was there. Has anyone here sampled Saggy Stone's brews? SAGGY STONE BREWING company Is the dream of two brothers, Adrian and Phillip Robinson. Great beer brewed on the farm using only the finest barely, hops and mountain spring water. Nothing else is added. Agreed. Do yourself a favourthough and try it from the Tap. For me these b&u beers are the best. I don't know if they're still a craft beer when they're distributing all over the world, but anyway...delicious without even a hint of that metallic aftertaste I find so many of the local beers seem to have. I really like that they're unfiltered and have sediment at the bottom which I always gently swirl into the beer before opening. Top of Long Street (223 Long) there is Beerhouse with 20 on tap and 99 bottles. The web site and labels are out of date. Can't find the new look online, will post pics later. Loving "chocolate stouts" at the moment ever since I had Fullers London Porter! 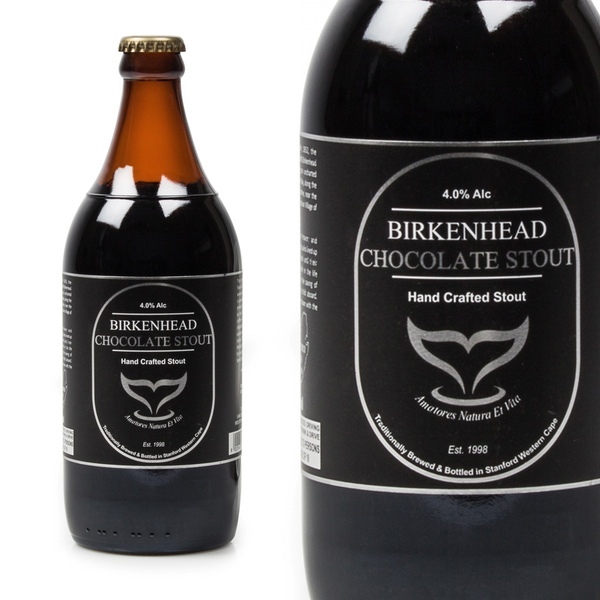 The Birkenhead Chocolate Stout is at the Sunset Beach Liquor Store btw.